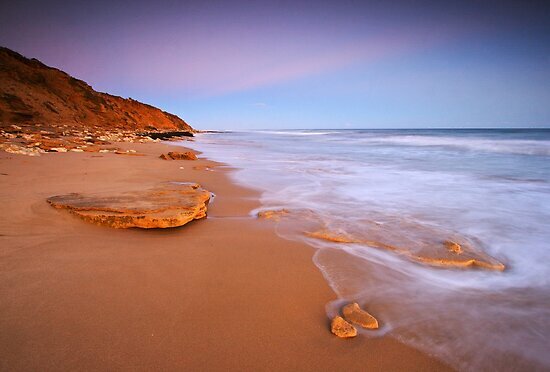 13th Beach at Barwon Heads on the Bellarine Peninsula is a spectacular place during sunset. It's often spoken about amongst photographers that when the sun is setting, it's wise to turn your back to see what's happening behind you. 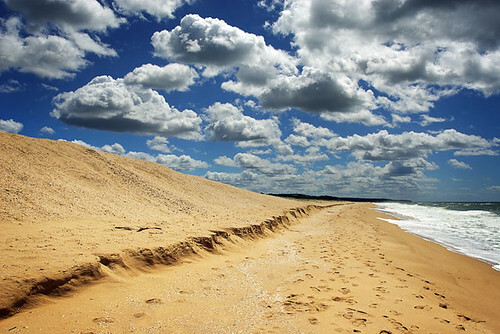 Access to 13th Beach is via steep timber steps from a car park adjacent the Barwon Heads Golf Course along the Barwon Heads-Torquay Road. 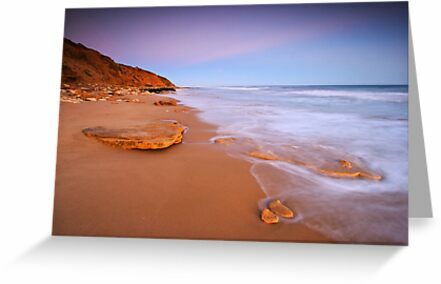 This photograph of 13th Beach at Barwon Heads is available for sale in a variety of quality print products. Purchasing is easy via the internet, and each product comes with a money back guarantee. If you're looking for a quality framed print to decorate a feature wall in a living area in your home, or a wall in your office, you'll find framing, matting and size options to suit your budget. 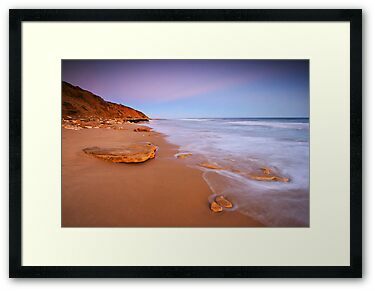 You are invited to view my portfolio of Australian images and writing at RedBubble. On Wednesday 15 August 2012 at 7.42am I posted a new topic in the Alliance to Better Access group of which I'm an active member that was broadly designed to seek those with an interest in mental health psychological treatment to act to stop funding cuts to the Better Access initiative. "CALL TO ACTION: The Better Access scheme cuts are due to be implemented on January 1, 2013. We need to increase the pressure on all politicians in Canberra and get the media covering what we are doing. We have the capacity to create an event in this group, and we can all have input into it. My thoughts are that we have a specific few days of action in the second half of September where we act to raise awareness. We can as individuals target all politicians in Canberra and media outlets. Folks, please contribute your thoughts. We need to act." As you can see, this is a clear call to action towards what was about 603 group members. At time of writing, the group has reached 671 members. I weighed up for a few days the pros and cons of commencing the "call to action" because I wondered if people would be interested in providing input and taking action. The topic evolved and has subsequently led to the development of the National Day of Action - Change the Minds of Politicians event. The day for action is Monday 17 September 2012 and I envisage over 1000 people will register their interest at Facebook where the event was officially launched by Dr Ben Mullings, Psychologist, who is the group founder and an administrator. Currently 300 have registered since being launched at 12.00pm on Monday 20 August, 2012. Ben Mullings and myself worked very closely together on the original draft copy that I produced for this event, after seeking and receiving terrific input from group members. Subsequent alterations to the draft copy between us has resulted in a clear call to action. Australians are now joining in quickly and sending the event information viral. Their message is clear - Stop the cuts to Better Access. In devising action like this, it takes careful consideration and a large group of people to see it flourish. People sharing a similar interest and demanding reasonable treatment options is what this is about. Peoples wellbeing, self-esteem and their general state of health is at stake. This is a cause worth fighting for. See my National Day of Action - Change the Minds of Politicians post here on my site to see how you can take part in this national day of action. The Alliance for Better Access calls on the Australian Government to allow people with a mental health condition to access a minimum of 15 to 20 appointments per year of Medicare-subsidised psychological treatment in the 'Better Access to Mental Health Care’ initiative. The group is asking all Australians to join them in telling the federal government that limiting therapy to 10 appointments a year is unacceptable. From 1 January 2013 the Australian Government intends to cut treatment in the 'Better Access' scheme, from the current 16 appointments per calendar year to just 10 sessions. This move contradicts substantial evidence in research, which shows that only one third of people will show lasting levels of recovery. The Gillard Government's shambolic method of tinkering with mental health policy is stigmatising. Their funding cuts to the Better Access scheme are now causing harm to people who require psychological treatments. Many of Australia's most vulnerable and disadvantaged people are now in distress due to the Gillard Government's lack of decency and empathy. From January 1, 2013, Medicare-subsidised sessions under the Better Access scheme will be slashed from a maximum of 16 sessions to just 10. The Gillard Government has already implemented an ill-conceived cut from 18 sessions to 16 during 2012. I know people who do not have any Better Access sessions left for the remainder of 2012, and this is having a detrimental affect on their health. I am widely connected with people who use our mental health system, and it is saddening to know that people are hurting. As someone who used the Better Access scheme from 2009-2011, I believe the Gillard Government is generally out of touch regarding what Australians require to improve their mental health. Having experienced a mental breakdown in the Centrelink office at Broadmeadows, Victoria in 2009, I know too well that 10 sessions of psychological treatment in a calendar year is inadequate to treat a mental breakdown. The Better Access scheme provides people with an opportunity to access affordable psychological treatments. However, the Gillard Government does not comprehend that people want choice when it comes to choosing a health professional. Many people choose psychological therapy as a treatment option because it helps stabilise their mental health and assist in their recovery. Mental health consumers are well placed to know what treatments work for them, and they don't need the Gillard Government dictating to them as to what is appropriate treatment. 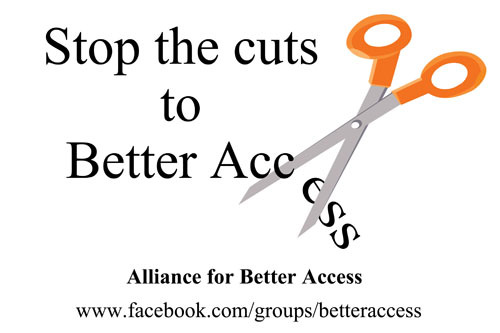 Further ill-conceived cuts to the Better Access scheme have real potential to harm more Australians. The Gillard Government now needs to implement a sensible mental health policy where at least 18-20 sessions per calendar year is available because it will give Australians hope of making a recovery from their conditions. The Gillard Government needs to understand that its vicious cuts to the Better Access scheme are a severe and retrograde move for our nation. The challenge for Julia Gillard and all federal politicians is that they need to act now in the best interests of all Australians. If it wasn't for the Better Access scheme as I experienced it during 2009-2011, I don't know where I would be. I hope that all Australians will be given the opportunity to access at least 18-20 sessions per calendar year under Better Access scheme from January 1, 2013. The Gillard Government now needs to demonstrate to Australians that it has the capacity to be decent and empathetic. "It's time" that the Gillard Government stopped stigmatising Australians. Millions of people asked the question last year, including Australian Prime Minister Julia Gillard, actors Hugh Jackman, Jack Thompson and Naomi Watts, and sporting heroes Wendell Sailor and Libby Trickett. The national day of action is dedicated to helping reduce Australia’s high suicide rate and was launched in Australian Parliament in 2009 by the late Gavin Larkin OAM whose own father took his life in in 1995. R U OK?Day aims to inspire all Australians to take responsibility for people in their lives who may be struggling and need an opportunity to say ‘I’m not ok’ to a friend or family member. R U OK? Co-founder and CEO, Janina Nearn, says anyone can get involved in the campaign by simply reaching out to colleague, friend or loved one. ‘We want all Australians to take a moment to check in with someone and ask, ‘Are you ok?’ A conversation could change a life,’ she says. Men account for 75 per cent of all suicide deaths (ABS 2012) and suicide rates for Aboriginal and Torres Strait Islander peoples are approximately twice those of non-Indigenous Australians. On Friday 10 August, 2012, I had a 20-minute meeting with my local federal member of parliament. It's the first time I've taken the step to arrange a face-to-face meeting with a politician to advocate for people experiencing mental ill health. Upon my written request via email to Kelvin Thomson's office in Munro Street, Coburg, on Monday 6 August, a staffer from Kelvin's office quickly arranged a meeting on Tuesday 7 August for us to meet on the following Friday. The topic of our meeting was to discuss the Better Access scheme. During the discussion I tried to impress on Kelvin the benefits of the Better Access scheme and how it does help people in regard to their mental health. The scheme is currently going through a transition phase whereby Medicare-funded sessions are being cut from 18 per calendar year to only 10. This is a move initiated by the current Labor Government in which Kelvin is part of. In meeting Kelvin, I informed him that there are many people living in Australia who are not well enough to visit their local MPs to advocate because of their lived experience of mental ill health. I left a package of written material for Kelvin to look through and left the meeting feeling thankful he had given me time to express my thoughts and listen to his views. I did the best I could to impress on him how beneficial the Better Access scheme had been for me during 2009-2011 when I relied on it to improve my health. All I can do is my best to try and convince politicians of the need for reasonable treatment options for our people. A face-to-face meeting is a big step to take, but one that I feel is now necessary. As part of the Certificate IV in Training and Assessment TAE40110 course I'm currently studying with Moreland Adult Education, I have the opportunity to plan, facilitate and review a 15-minute training session with an individual learner. Drawing on my experience as a photographer, I've chosen a topic that allows me to impart knowledge to the learner, which could be of assistance to them in the future. My chosen topic is Magazine Cover, and what this basically involves is that I will train my learner to identify a suitable photograph for the front cover of a photography magazine. During my training session, I will be showing my learner three hard copy photography magazines that showcase good design and a suitable subject that is centrally located in the image. 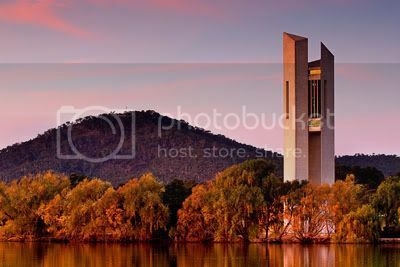 When looking for a suitable image, we have to consider that there is sufficient space in the top third of the image for the magazine title and room for text along each side and the bottom. We have to be mindful that the text for the cover will not overlap the main subject of the photograph. In preparation for facilitating this 15-minute session, I have prepared a Lesson Plan that incorporates a 2-minute Introduction, 1-minute of OHS (Occupational Health and Safety) discussion, a 9-minute Body of lesson plan, and a 3-minute Closing session. When I facilitate this session in front of my fellow students, my trainer will be assessing my competency for this task. It's an exciting opportunity, and one that has provided me good food for thought in developing future learning sessions. 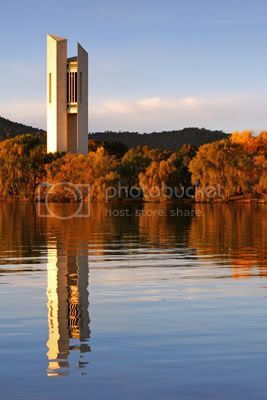 As part of this article I have included three sample images as examples. These images form a small part of my Lesson Plan, in that they display what is and isn't suitable for a magazine cover. 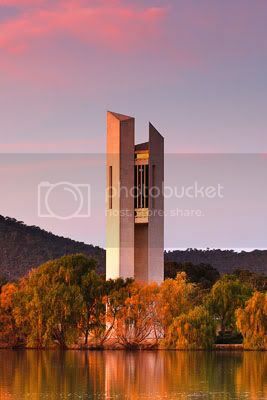 Landscape format images are not suitable for the photography magazine in question, as it is published in the traditional portrait style format. Upon completion of my 15-minute training session, my trainer will provide feedback regarding my performance. I am looking forward to this session as I'm keen to impart some knowledge to my learner, and gain some valuable feedback from my trainer regarding my plan and delivery method. I successfully facilitated this session and it was great to receive feedback from my trainer and my fellow students.